Considering the number of bands that have reunited over the past few years, you’d be forgiven for thinking that The Hollies are just another come-back band. In fact, they are one of the few British pop groups who have never actually broken up and still continue to record and perform to fans across the world. 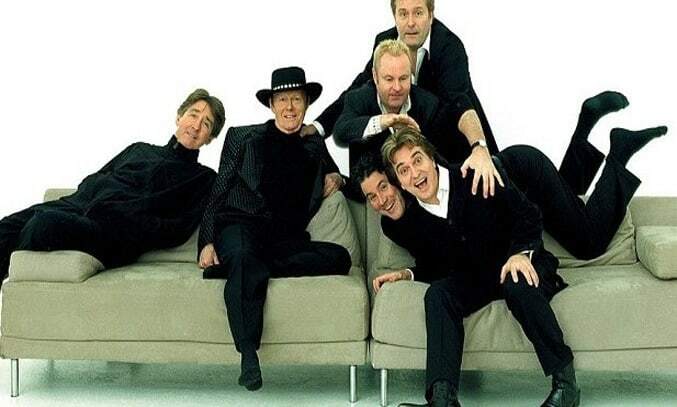 Formed in 1962 by Allan Clarke and Graham Nash, The Hollies enjoyed considerable success in the 1960s and 1970s, with more than 60 singles and 26 albums to their name. A HIGHWAY OF HITS sees the The Hollies return to Salford’s The Lowry, a stone’s throw away from their hometown of Manchester, for the second time in just over 12 months. The two-hour concert sees the pioneering pop/rock group performs hits from their extensive back catalogue as well as tracks from their 2009 album THEN, NOW, ALWAYS . With more than 30 UK chart singles under their belt, the group is certainly not short of material to keep the crowd entertained. With no support act, the band jump straight into the set, opening with three massive hits from the 1960s – I CAN’T LET GO, SORRY SUZANNE and JENNIFER ECCLES – before belting out hits HERE I GO AGAIN, GASOLINE ALLEY BRED and BUS STOP, much to the audience’s delight. Considering most of the material is over 50 years old, the songs still sound as fresh and tight as ever with the group’s distinctive three part vocal harmony shining through on early hits such as JUST ONE LOOK and STAY. Classics such as ON A CAROUSEL and LOOK THROUGH ANY WINDOW have also been intriguingly re-worked to give them a fresh, new appeal. Despite more than five decades on the road, it’s clear to see that the group still enjoy performing. Drummer Bobby Elliott and lead guitarist Tony Hicks are the only original members left but even newer members Ray Stiles, Ian Parker, Steve Lauri and lead vocalist Peter Howarth, sound like they’ve been with the band since day one. Yet while The Hollies certainly know how to put on a show (the light show is particularly worth a mention) A Highway of Hits doesn’t really offer fans anything new to what they’ve seen before. The set list is almost an exact duplicate of their 2015 Spring Tour and even the band’s stories and jokes are the same. Occasionally, it is also difficult to hear the backing vocals over the lead guitars, which is a shame considering their beautifully blended harmonies is what makes The Hollies sound so unique. That said, if you’re a fan of the hits you won’t be disappointed, with their 1969 hit He Ain’t Heavy, He’s My Brother particularly standing out as a highlight of the show, as well as the encore of THE AIR THAT I BREATHE and LONG COOL WOMAN IN A BLACK DRESS.